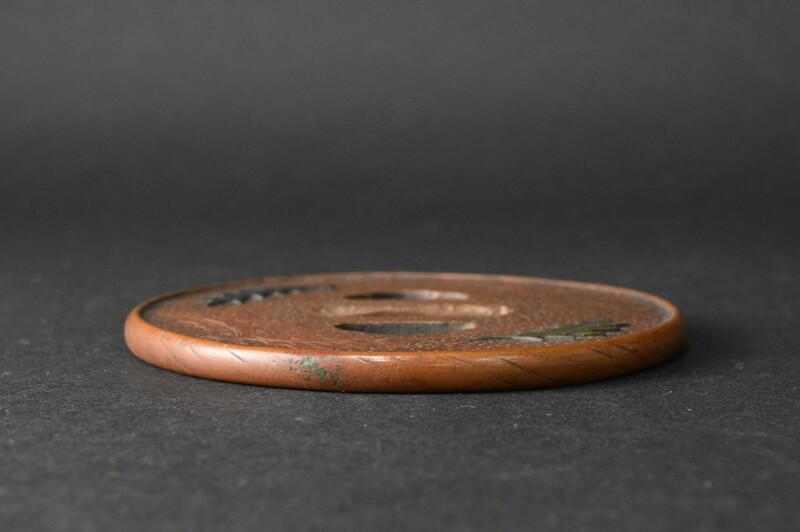 A very fine suaka (copper) plate tsuba, round in shape with a well hammered uchikaeshi mimi. 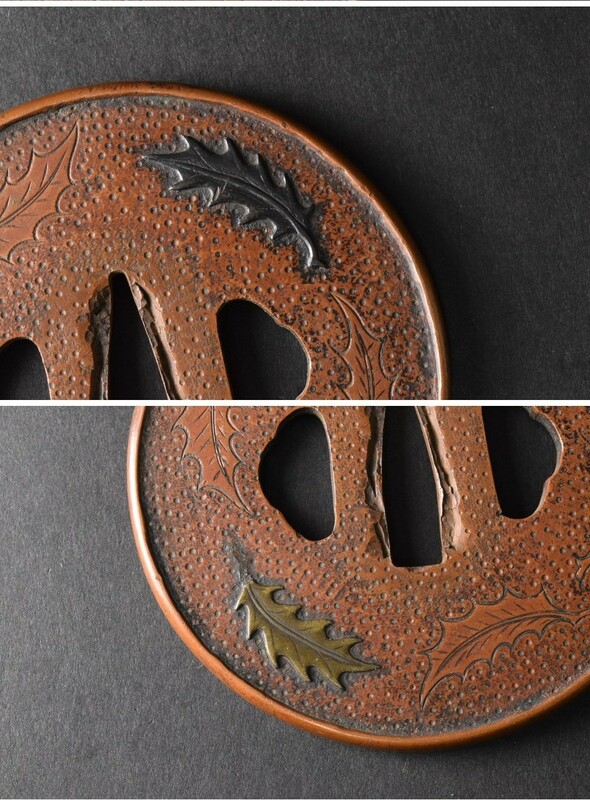 The surface on both faces are done in an old style called 'awa ishime' which consists of small, round dimples punched into the surface. 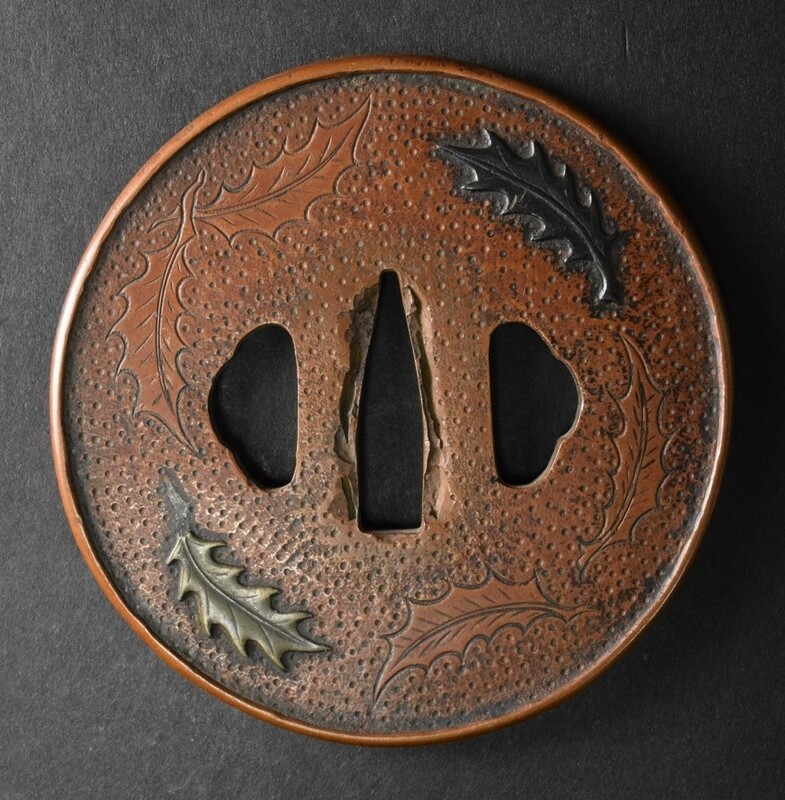 On the omote are six holly leaves, four finely carved into the plate and two, one of brass and the other of shakudo, inlaid symetrically. 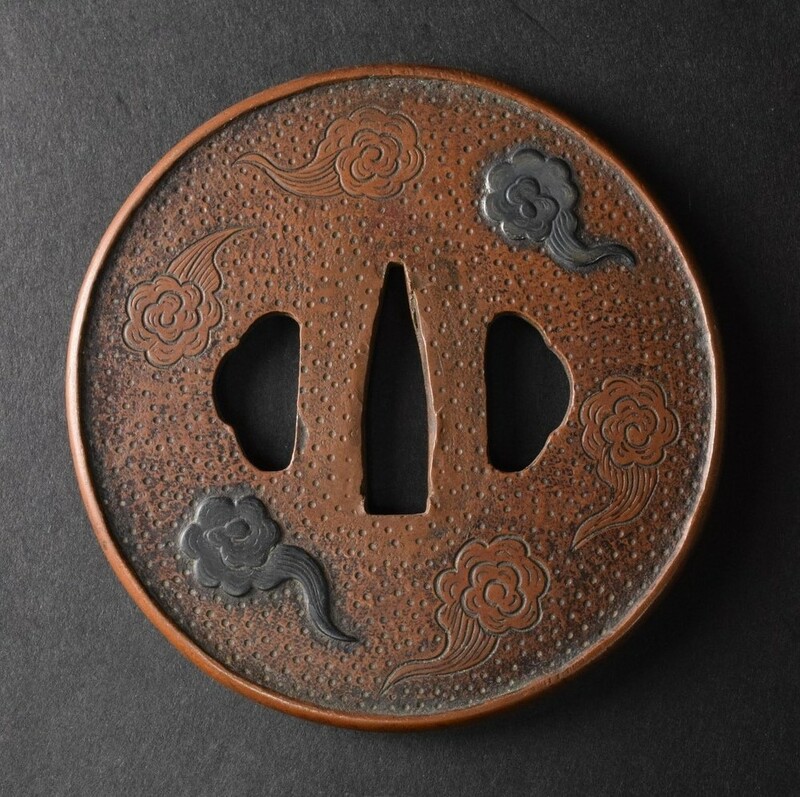 On the reverse are six clouds, four finely carved and two, one of shibuichi and the other of shakudo, again inlaid symetrically. 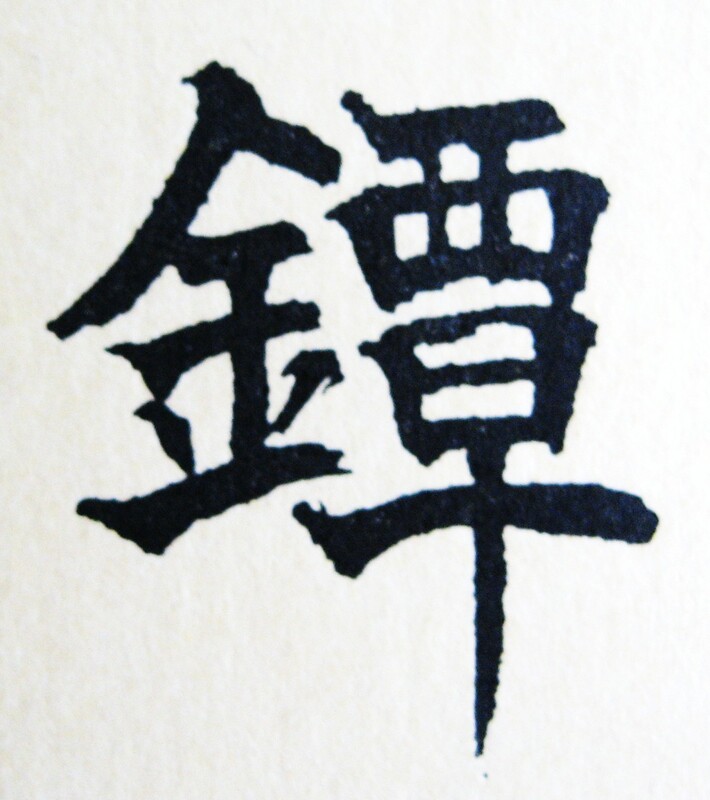 The hitsu ana are both suhama style of different size. Dates to early Edo, ca. 1600. 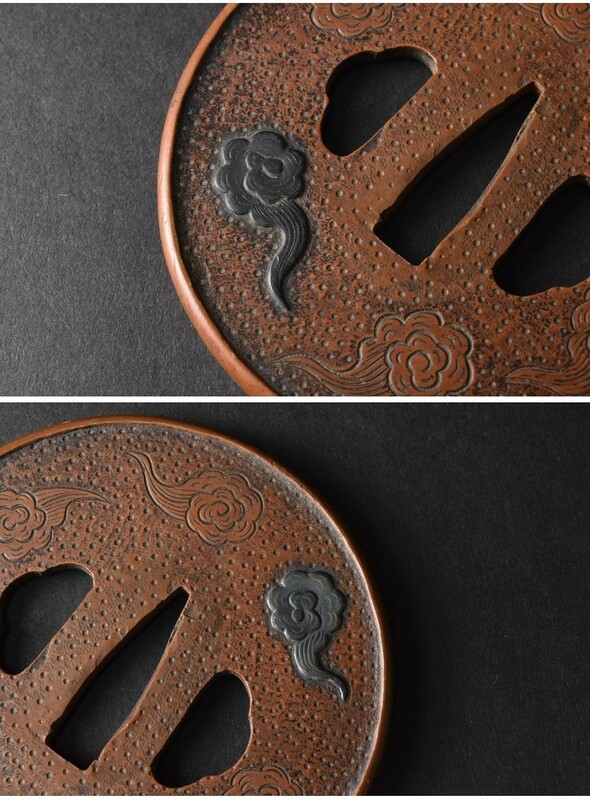 A very fine and well executed tsuba displaying the artistic ability of the maker.